Summer fruit is amazing right now, dripping sweetness in every bite. We are loving the watermelon! 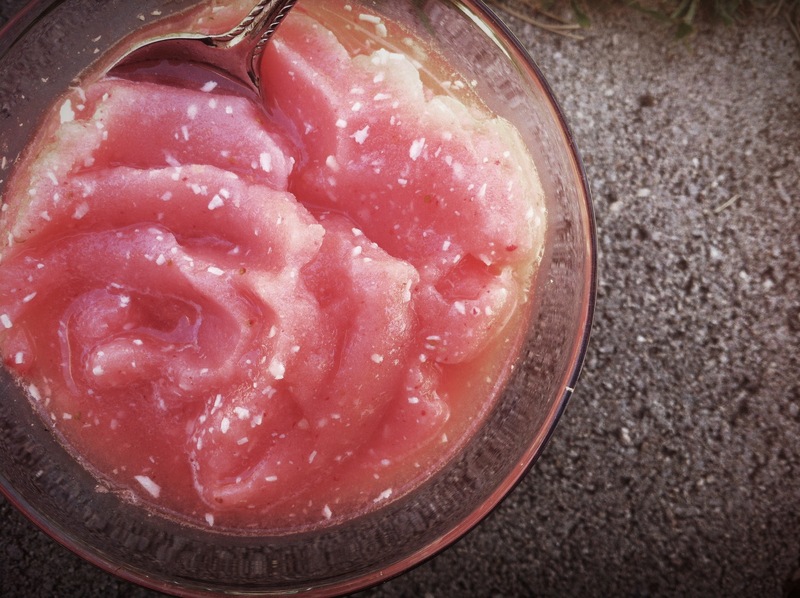 If you have some leftover melon, try freezing some to make a delicious sorbet treat! It is so refreshing on a hot summer day and the kids will love it… so move over popsicle man! Combine the watermelon, strawberries and lime juice in a vita-mix blender (or food processor). Blend and slowly add water until a beautiful, thick sorbet forms. Spoon into dessert cups and sprinkle with coconut. Kick back and relax!